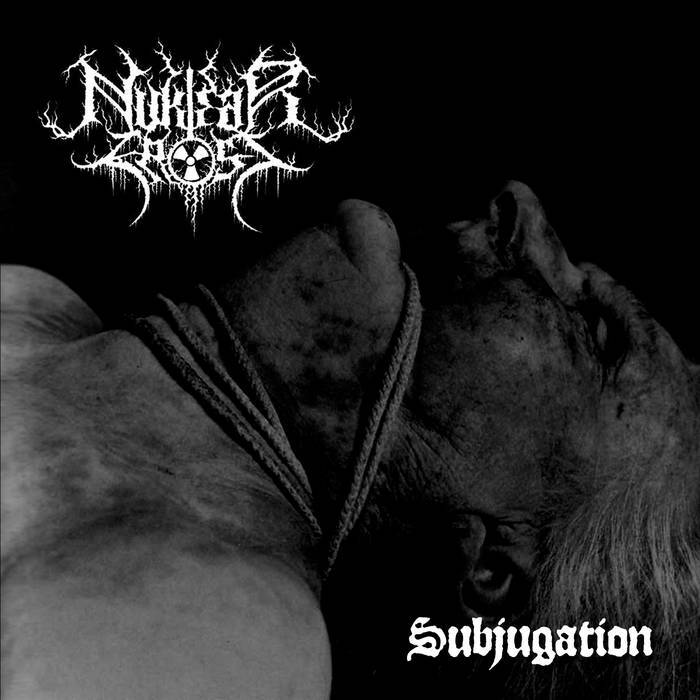 Nuklear Frost are a band from Minnesota that plays a very fast and raw form of black metal and this is a review of their self released 2014 album "Subjugation". Drones start off the album along with some clean and melodic guitar playing which leads up to drums kicking in which leads up to a heavier direction along with some high pitched black metal screams while also keeping around the melodic edge and after the intro the music goes into a very fast and raw direction along with some brutal blast beats. There is a good mixture of slow, mid paced and fast parts present throughout the recording along with some primal bass guitars and a good dose of melodic Swedish black metal elements and you can also hear a great amount of anger and hate in the vocals and at times clean playing can be heard in certain sections of the recording. After awhile the vocals start adding in some deeper parts which gives the music a more death metal feeling along with the guitar riffing utilizing more thrash influences while the main focus remains on a fast and chaotic black metal sound and one of the tracks shows a small amount of melodic Gregorian chants which also are used again towards the end of the recording and the sounds of war before making a return back to a more heavier musical direction and the last song is their epic track with the song being over 8 minutes in length. Nuklear Frost bring a lot of heaviness , speed, aggression and anger into their style of black metal and creating one of the heaviest albums this genre has seen all year, the production sounds very heavy and powerful for being a self released recording while the lyrics cover violent, hateful, war and anti religion themes. In my opinion Nuklear Frost are a very great sounding fast, raw and aggressive black metal band and if you are a fan of this musical genre, you should check out this album. RECOMMENDED TRACKS INCLUDE "Theist Holocaust" "Vortex Of Horror" and "Become Death". 8 out of 10.